We first did this no spend month challenge in our family in 2014. It helped us get our spending back on track. So this August we are doing it again. So I’ve updated this post from 2014 and after our 2017 no spend month challenge. I will share how we did this time. Cutting back on unnecessary spending isn’t always easy but it became a habit last time. 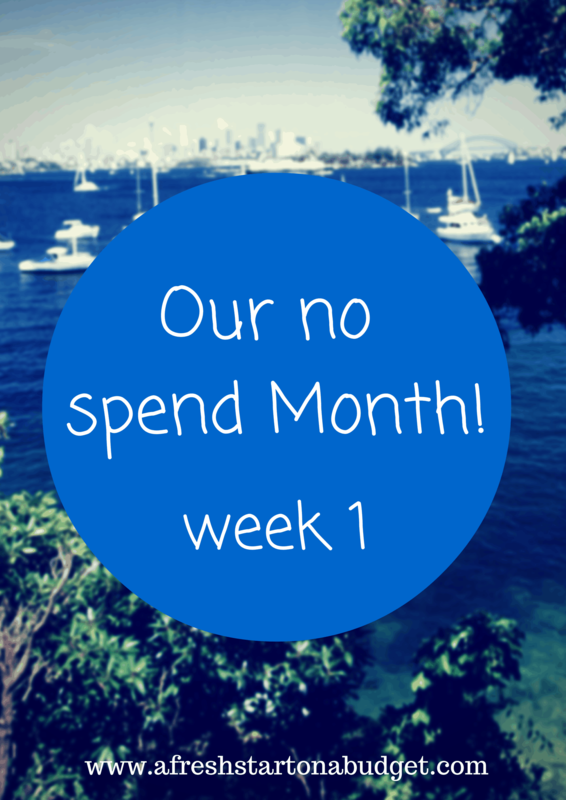 The hope is that this new no spend month will get us making better money choice and making better decisions. The only new category I’m adding to what we can spend money on is any back to school expenses like a hair cut for Bella and a few pieces of back to school clothes. If you aren’t already, I’d love for you to follow me on Bloglovin! After doing some research on budgeting and money and really taking a look at where our money goes. I came up with a plan. My family and I are doing a no spend month for August. While looking over our bank statement I came to the realization that way too much money was going towards dining out, buying things we don’t need from places like Target, splurging on outings, etc. So for the month of August, all of that stuff is off limits. Now things like bills will be paid because they have to whether I like it or not and I’m setting a budget for gas and groceries because we need food and my husband has to get to drive to work. I’m hoping to only spend $400 for the month on gas and groceries. We haven’t ever attempted this before so this is my best estimate of what we will spend. No more fast food or running to grab something for a snack. All our meals will be prepared at home and we will get better at planning to bring snacks with us if we go somewhere. No more impulse buys like books for me, movies for my husband and little toys for Bella. We all have plenty and we need to make do with what we have. So I’m a little nervous to see how we do but I’m excited at the same time. I will be posting weekly updates to keep me on track and to let you all know how it’s going. Final no spend month update! I think you can do it. It’s not that hard because we have been doing it for a long time now and I think in the last four years we only had 2 occasions when we opted for a pizza delivery. It really does help save money in the long run. We need to budget. The food part will be the hardest, because we love to eat out. Oh we really need to do this! With back to school shopping it wouldn’t be possible right now but maybe in the next month. We could save so much money! This month just worked for us. I know September and October will be expensive months because of birthdays and then holidays. A no spending budget is sooo easy when you’re disabled. My entire income down to the penny goes to doctors appointments, transportation, and medications. Of course rent and utilities, you can learn a lot form people on fixed incomes. Kakers recently posted…Freedom is Mine! Good luck!! I wish I had your discipline. Well, actually I do, but the rest of my family does not LOL. Christen recently posted…Is There Really Such a Thing As Passive Income? Excellent idea! I’m rooting for you! We’ve had no spend months a few times. They’re not bad. My advice is to not spend all your $400 in the beginning of your month because then it’s harder. I will have to be careful not ti do that. Good advice. I am doing a no-spend month for August as well! Good luck! Good luck! I think you can do it! This is such a great idea. I am in such need of a no spend month. You totally got this!!! I am sure you can do it!! Fast food is just so easy to do! I totally get that and can relate. 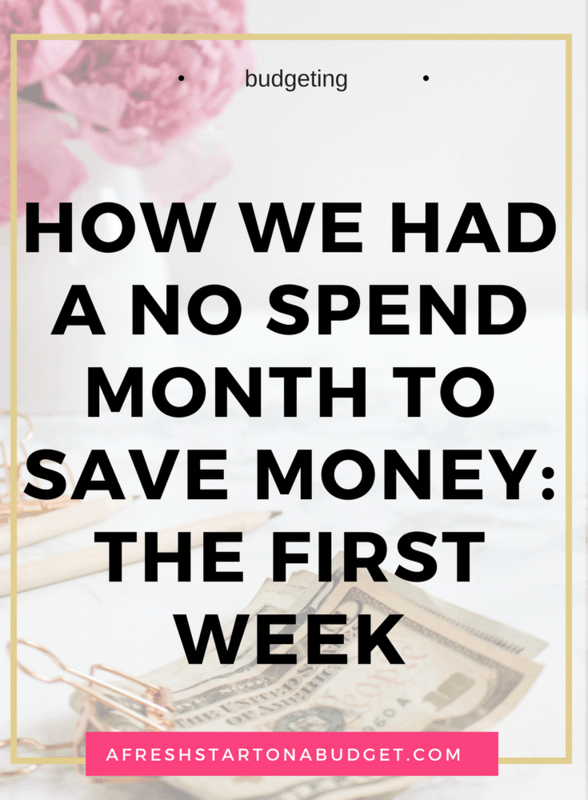 We have been taking a look at what we spend and feel like we could be saving a ton too! You’re freeze is inspiring me! I’ve been doing this for the past couple months and it is so hard! I just want to go to Target and buy something. But I’m saving a lot and realizing how much I spend on stuff I don’t need. good luck! i need to get better at saving…summer is always a little rough! a no spend month sounds like a good plan! I’m loving the changes to your site. It’s so hard! But you’ll be so happy about it! This is definitely a great challenge. My family and I are trying to cut back on non-essential needs. I should really do this too. It’s so hard to save up when we’re on the go so much. Good luck! Hey Courageous Woman, I applaud you! It can be done but $400 for a month’s groceries? Well, I hear some great blog posts coming out of that one! Teach us how to do it, OK? Hi, coming from Say G’Day Saturday…I think this is something my family needs to try because we’re the same with spending on going out to eat and buying things we don’t really need. Good luck and I’m sure you can do it, motivates me to try it, too! I’m glad for all the support I’m getting for this. It will help me stay motivated. G’day! Thanks for stopping by our #SayGdayParty! Good Luck! Look forward to how you go! Good luck!! A no spend month seriously changed the way I look at my finances last year! $400 for groceries and gas! I wish we could do that. I budget for food and gas on a monthly budget and gas alone is budgeted for $200 and food is sometimes over $500. I’m wondering if it also depends what part of the country one must live in and obviously the size of the household. We have two boys and we only eat out for special occasions but it never fails how fast money goes out the door with buying all groceries to cook at home! Can’t wait to follow you on your journey for tips! We only have one child and one car so I’m hoping $400 will get us through the month. Good luck! It is hard not to spend, especially on extra things at Target. I always try to bring snacks when we go somewhere. It’s so easy to spend an extra dollar here and there. Yes, I can’t even let myself go to Target this month. I will fail my challenge. Brittany Miller recently posted…Where do I stand? Such a great idea! We so need to do this! Great post again. The idea is very interesting. Would love to try it but I’m pretty sure there would be a lot of adjustment for the whole month. I think it’ll work though 🙂 Just in case you need a service provider for your data processing and customer services needs. Check our website! Cheers! Cybergenic Associates Int’l recently posted…Why Is Customer Service Important In Business?